Add a little sunshine to your day with a simple sheet of Smoothfoam! Smoothfoam hugs straight pins and glue so nicely – and that makes it so easy to create wall art with your favorite papers, fabrics, paints, embellishments – and in this case, ribbons! Click here for more details on how I made this project – it brightens my day every time I see it. 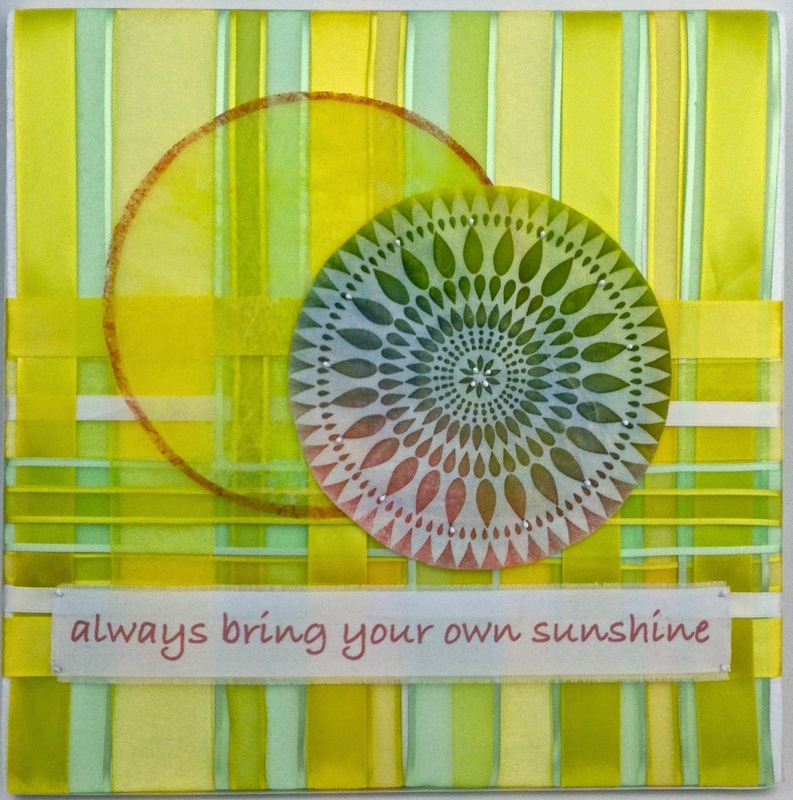 This entry was posted in General Crafts and tagged Green, Sheet, Wallhanging, Yellow by Lisa Fulmer. Bookmark the permalink.